If you’re in need of a cesspool service Long Island, look no further than Vecchio Cesspools. With more than 30 years of experience and providing a wide range of services, including cesspool installation, cesspool pumping, and cesspool maintenance, you’ll have confidence with every flush when the experts at Vecchio are taking care of your system. As a homeowner, it’s important to know how to take care of your property and spot signs of trouble with integral systems so that you can make the necessary repairs. While a lot of people don’t pay much attention to their septic system, being that it is one of the most important parts of your home, you really need to stay on top of it. Your septic system has the important task of processing the wastewater that your home produces. That includes the water from showers, toilets, sinks, washing machines, dishwashers, and anything else in your home that drains water. With regular maintenance, like pumping and cleaning, and proper use, you shouldn’t have any major problems with your septic system. However, just like any other part of your house, issues can happen, and these issues might require a septic system repair. When would an emergency septic system repair be necessary? Here’s a look at three of the most common reasons why you might need to have your system repaired. According to experts, cesspool pumping should take place every three to five years; however, even if you do pump your tank on a regular basis, there may be times when an emergency pumping might be necessary. For instance, if you’ve used a large amount of water and the system has been inundated; if someone has been flushing items that the system can’t process, such as diapers, feminine hygiene products, or cotton swabs; or, if you’ve put a lot of grease or paint down the drains. These types of scenarios can cause lead to an overflow, in which case a pumping would be necessary. If any of the pipes in your septic system are damaged for any reason; a clog, a crack, or tree root intrusion, for example; you would need to have an emergency septic system repair. One series of pipes connect the drains in your house to the tank that holds the wastewater. Another series of pipes drains the wastewater out into the drain field. If any of these pipes are damaged for any reason, they need to be repaired as soon as possible to avoid major catastrophe. 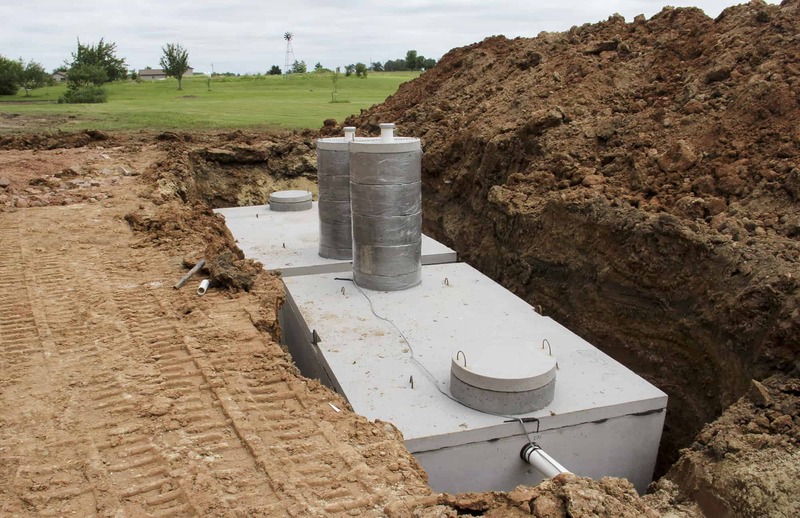 Baffles are the part of the septic tank that are designed to prevent any solid material that collects in the tank from making its way into the drain field. This integral part of a septic system can become damaged as a result of rust, shifting of the ground, tree roots, or a number of other things. If your baffles are damaged, they need to be repaired immediately, otherwise it’s very likely that you’re going to have an overflow or another serious problem on your hands. If you notice any of these signs, you need to contact a reputable company that specializes in septic system repair as soon as possible. Contact Vecchio Cesspools to Schedule a Septic System Repair Today! Whether you are experiencing any of the above-mentioned signs or you just want to have your septic system inspected to ensure that it’s in proper working order, contact Vecchio Cesspools. As one of the most trusted cesspool service providers on Long Island, their team of professionals will ensure that your system is running smoothly. From cesspool installation to general pumping, call 631.451.6818 to schedule an appointment today!